In the case of a fixed installation the rear screen projection system is wall-mounted, integrated in a piece of furniture, or free-standing. 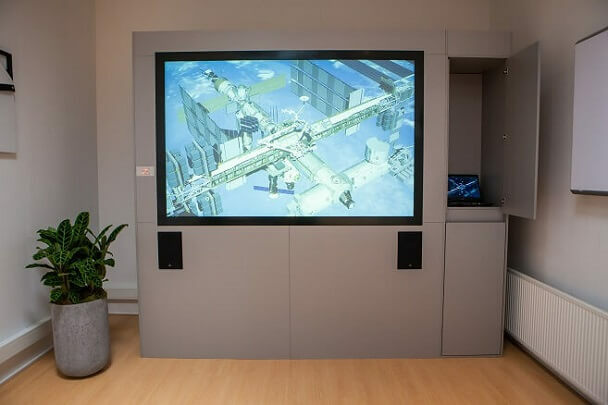 A fixed rear screen projection system is the best choice for locations that are regularly used for audio-visual communications. Visual support is often required during training sessions, seminars, meetings and conferences, for example for lectures and workshops. 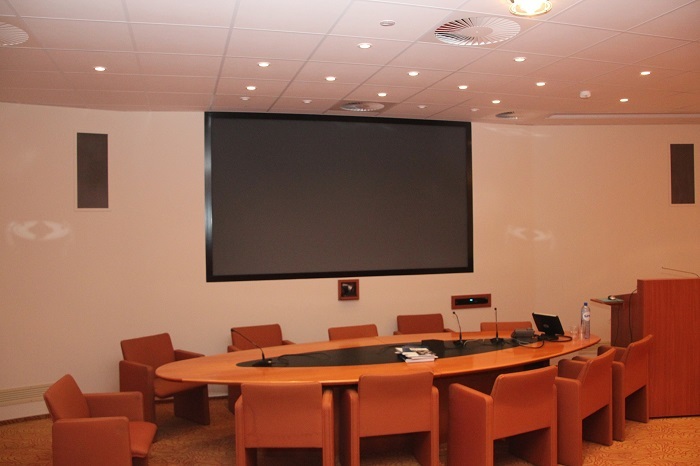 Audio-visual communication is also a ‘must’ for product presentations. In these cases, it is important that the necessary facilities are present, operational and ready for use. For a fixed installation, a permanent structural framework is made. 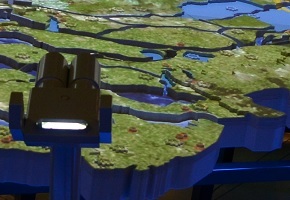 Once installed, the rear screen projection system cannot be moved. When rear screen projection is to be used in permanent situations, structural measures must be taken. A rear screen projection system consists of: projector(s), the rear projection screen, a screen profile, mirror(s) and a frame. In a permanent installation, these components are placed in a fixed location, for example in a wall or an item of furniture. Normally, we use panel screens that are mounted in a standard rabbet. The space behind the screen must be large enough to accommodate the projector and mirrors. Rule of thumb: the space behind the screen must be roughly equal to the height of the screen. 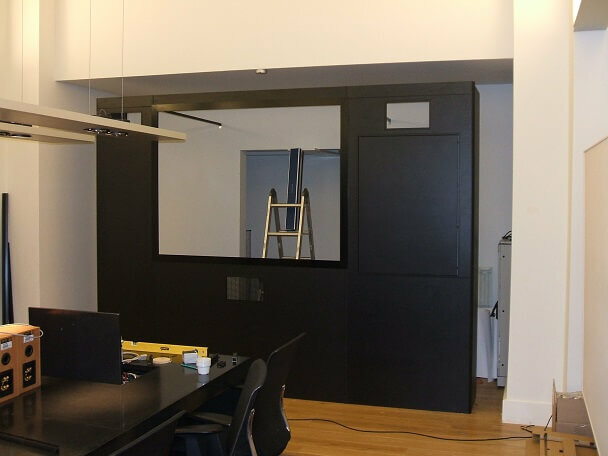 Once the position and size of the mirrors has been determined, we construct a framework on which to hang the chosen mirrors in the space behind the screen. Given the weight of glass mirrors, this construction has to be strong and stable. To make a perfect system assembly it’s sometimes necessary to add various accessories. We usually fabricate these accessories ourselves, made to measure and adapted to the situation at hand. We also make use of standard accessories from our Macada Basic assortment.